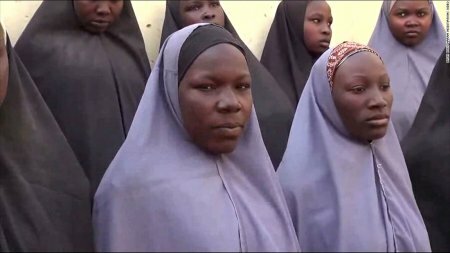 A report from Sahara Reporters claims that Lugwa Sanda, one Chibok schoolgirls recently released by Boko Haram , attempted suicide three days ago to protest FG's decision to enroll her and fellow school mates at the Abti Academy, an international secondary school in Yola owned by Former Vice President Atiku Abubakar. Reports say she drank Jik, a stain remover and suffered significant damage to some of her organs. She is under emergency medical treatment at a hospital belonging to the Department of Security Services (DSS) in Abuja. Minister of Women Affairs, Alhaja Aisha Alhassan chose to enroll them in the school against the preference of some of the Chibok schoolgirls. It's believed that the girls’ resistance owed to recent attacks in parts of Adamawa State by the Islamist terrorist group, Boko Haram. It's said that the minister selected some of the girls to speak whenever there are questions about their preference, and the selected girls regularly speak in favor of going to Yola. Government needs to work more on them mentaly.